Do You Need Marketing Help or Services? 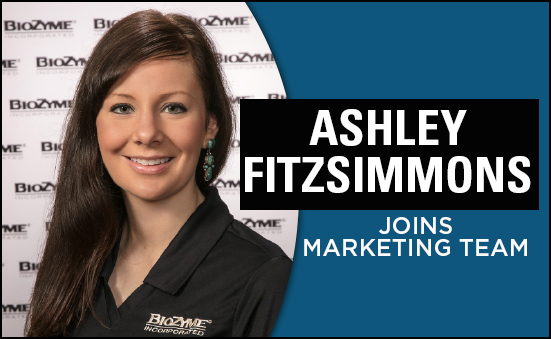 Ashley Fitzsimmons will be your new contact for all your marketing needs for BioZyme products. Don’t hesitate to reach out to her at (307) 575-1082 or afitzsimmons@biozymeinc.com. You can also request marketing help by filling out a Marketing Request. Ashley Fitzsimmons, Perry, Okla., has been named the Regional & Partners in Performance Marketing Manager for BioZyme® Inc. In this newly-created role, she will use her agriculture and marketing expertise to assist dealers and Area Sales Managers (ASMs) with marketing plans, from initial planning through the execution steps. 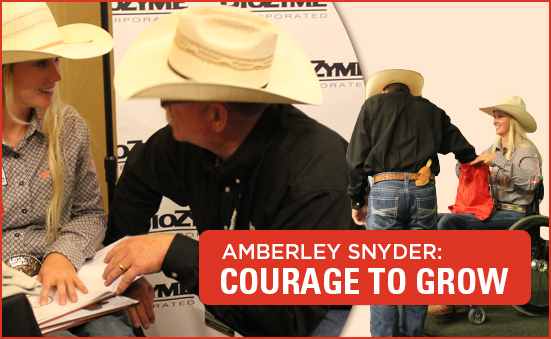 Fitzsimmons is the sixth generation to grow up on her family’s purebred Hereford operation in southeast Wyoming. She earned a Master’s degree in Agriculture Communication and a Bachelor’s in Animal Science and Ag Education from Oklahoma State University. She gained valuable agency-type experience working with clients on their marketing plans while working at Ranch House Designs as vice president of marketing consulting. Fitzsimmons will collaborate with the ASMs to ensure they are maximizing opportunity in their territories, meeting sales goals and doing so within budget. She will also meet with ASMs and key dealers to assist them with marketing tools and initiatives in their respective territories and help them develop and implement marketing plans, to ensure they align with national sales objectives and individual priorities. In addition, she will work with the National Sales Directors to help drive marketing plans with Partners in Performance ensuring open, routine communication and timeliness of deliverables. Fitzsimmons and her husband, Nick, welcomed a son, Lander, to their family this spring. They also operate a multifaceted cattle operation and conduct a couple show calf sales each year, helping young people get involved in the cattle industry. They are looking forward to sharing their passion with their son. Education is a way of life for Travis and Tyson Basore, Basore Cattle Company, Appleton City, Mo. When the brothers became dealers last summer, they both jumped at the opportunity to enroll and complete the BioZyme® Master Dealer Training Program. And for them, becoming students put them on a different side of the desk than what they are used to being on. Travis is the athletic director, head football coach, teaches weights, and oversees credit recovery and dual-credit courses at Appleton City. Tyson is in his 13th year of education. 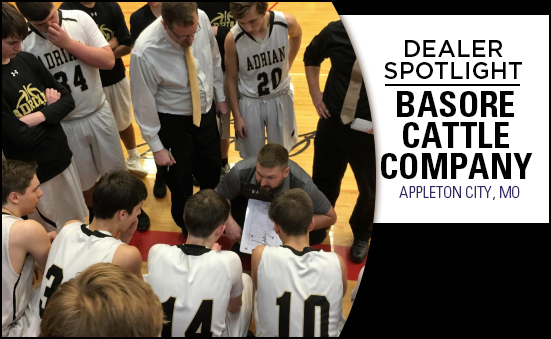 He teaches high school physical education and weights and is the head varsity boys basketball coach at Adrian. Both their wives are teachers. Their mom also was involved in education. Tyson agrees that the Master Dealer program offered them a vast amount of product knowledge about products they hadn’t used on their own operation. In addition, both brothers appreciate the time and information that their ASM Dave Gallagher shared with them as they got started and continues to share with them. Tyson said he appreciated getting the information that they could pass on to potential customers. Basore Cattle Company used VitaFerm® HEAT® on its own cow-calf operation before becoming a dealer. Now that they’ve become dealers, Travis enjoys the opportunity to meet other producers and continues to learn from their customers. “We deliver all our products, and I’ve enjoyed seeing different operations and trying to learn from our customers about how they do things. It’s great to meet other people in the cattle industry, make new friends and get new ideas,” Travis said. Tyson said since becoming a dealer, the most important lesson he’s learned is to treat customers how he wants to be treated when he’s making business decisions. More than anything, he likes to provide accurate information, but if he doesn’t have a definite answer he lets the customer know that and finds the correct information as soon as he can. Tyson would suggest than all dealers, especially new dealers get out and talk to as many people as they can and share their experiences with the products. He said that their business has definitely grown by word of mouth. And both brothers agree that gaining as much information as possible and completing trainings like the Master Dealer Program will benefit dealers – both new and experienced. “I think that everyone that takes the time to take the training would find it very beneficial. If people take the time to set down and do it, they would gain a lot,” Travis said. There’s never a better time to learn than right now. You’re probably thinking of the adage, “you can’t teach an old dog new tricks,” but that just isn’t true. And if you want to grow your customer base and reach more potential customers you need to keep educated on new technologies and ways to reach more people. According to the United States Postal Service, the amount of direct mail marketing pieces has decreased significantly during the past decade. That doesn’t mean that mail isn’t an effective marketing tool; it simply means the technologies to deliver your messages have evolved during the past 10 years, making the methods of the delivery perhaps more efficient and timelier. Technology is at our fingertips and accessible to us 24/7, making shopping easier than ever – it also means as a business, you need to step up your game because retail just became more competitive. Take my recent experience. The plumber took one look at our water softener – probably one of the first ever installed – and said, “it’s shot.” He quoted me an outlandish price for a new one with installation. Now, between my husband and his uncle, they’ve made quite a few enhancements to this old farmhouse we bought last fall. I looked online on my phone and found water softeners at one-third of the quoted price that the plumber gave me before he even drove out of my driveway. That is just one example of how technology helps with marketing. 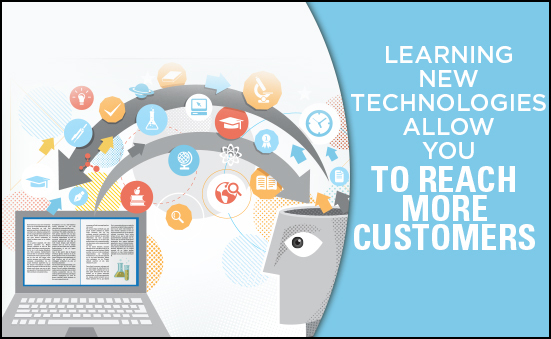 Keeping up with technology will give you an edge over your competition. Develop a website or other social media platform that you can easily be traced to next time someone is searching for “livestock supplement” or “horse mineral.” Make sure your contact information is easily accessible and even start using an electronic inventory system so that the potential customer can see what you have in stock. It is a lot more desirable to drive 30 miles to a dealer when you know they have what you need in-stock. Another great use for technology is as a customer service tool. Remember, it is at your customers’ fingertips continually. They can text, message, email or even call you with a question or concern and you can respond almost immediately. Don’t overwhelm yourself with technology. Just because it exists doesn’t mean it is right for you or your business. Discover tools that are easiest for you to use and the ones that work best for the goals you are trying to accomplish. If you want to share the products you have on hand, any store promotions or educational programs or product testimonials, perhaps a web site or Facebook would be more ideal than Instagram or Snapchat. Set aside time for technology each day. Make learning and using technology part of your daily schedule just like you do billing and inventory control. Once you become comfortable with the technology you are using, it will become second nature. Don’t stress. Using technology should be fun, and it should make life easier on you. If you get to a roadblock, relax, take a deep breath, and try something different. Reach out for help or “google” a solution to your challenge. Technology – it is here to stay and make our lives easier. Just like learning anything, there may be a few bumps along the way, but once you’ve mastered your new skills, you’ll be growing your customer base and reaching more potential! “The only thing worse than training your employees and having them leave is not training them and having them stay.” This profound statement made by Henry Ford is just as true with marketing livestock nutrition products as it was in automobile manufacturing. Investing time and money into your employee’s training is vital to keeping good employees. To you, training might seem like a no-brainer. You hire some people, train them to stock shelves, be nice to customers and run the cash register. However, there are more steps and layers to employee training that a business owner or manager need to consider. Let’s look at four key reasons to invest in staff development. According to research, nearly 40-percent of all employees leave their job the first year because they are unhappy or dissatisfied with the training they received. That is some big turnover, and every time a company has employee turnover, dollars and time are lost in the recruiting and hiring process. The same study showed that employee turnover costs U.S. businesses about $11 billion each year. Not only will your employees be more likely to stay with your company if you offer some type of training or development, many potential employees look at training as an added benefit. Benefits are a big deal, especially to millennials, and if you provide the opportunities to grow, those benefits will help recruit and retain employees. Employees who feel like part of the team or business are going to remain loyal to the company. They know you have invested in them, so that loyalty increases. If you equip the staff with proper product knowledge, they become “experts” and can easily discuss the benefits and differences of particular products. Cross-training employees is essential, especially in smaller businesses where just a few people do every job. Make sure your employees are just as comfortable with finalizing a sale and helping load a truck as they are discussing the differences between VitaFerm® Concept•Aid® and VitaFerm HEAT®. Plus, loyal employees are more engaged and motivated and require less supervision. Did you know that it is safer and more cost efficient to promote someone to a managerial position than it is to hire from the outside? The loyal employees that you have already invested in training, and who have invested their time and knowledge into your company typically make better managers because they already understand the business and the products and services offered. There is less training needed when promoting from within, and studies show that promoting from within often saves a company about $20,000 in salary, bonuses, benefits and training costs. A lot of credit should be given to a company that has happy employees that stay with it. The longer a good, well-trained employee stays with a business, the more loyal he or she becomes to the company, and the relationships between that employee and the customers has time to grow and flourish. Employee longevity is another sign of trust between the employer and the employee, and long-time employees often give the employers more freedom. In addition, thinking back to retention, a long-term employee also saves on expenses, as it is shown to cost from $1,500 to $5,000 to recruit and hire a new employee. Now that you know the value of employee development, what tools are available to train your employees? One resource that BioZyme® offers is the Master Dealer Program. This online training program allows dealers to learn about sales and marketing as well as the various product lines that BioZyme offers through a series of online training modules. The dealers work at their own pace to watch the videos and take short quizzes. Once a participant has completed the training, and met all the requirements, they will receive a jacket, signage for the store and a special emblem on the Dealer Locator, indicating they are indeed a Master Dealer. Master Dealer 2.0 is just being rolled out this summer. New training videos on different topics will be available to those who have completed the first Master Dealer Training Program. A year after your Master Dealer completion, you will receive notification about the second phase, and be able to complete that to stay more current on new products and marketing trends. And, if you are looking for other ways to train your employees, get involved with local organizations. Chances are the local cattlemen association will offer BQA training or the Chamber of Commerce might have workshops geared toward marketing and customer service. Training your employees, and yourself, pays off. Make the time and make the investment. Why is it Important to Learn About your Customers? Just like the first day of class, when a teacher is getting acquainted with his or her students for the next nine months, it is critical for a business owner to get to know his or her customers. And we mean really know them – not just their names and contact information. The more you know about your customer, the more you will be able to help meet their needs, provide outstanding service and build lasting relationships with loyal customers. Getting to know your customer is all about the customer service and relationship building process. As you get to know your customers, track the information you learned about them, so you don’t forget it. It is perfectly acceptable to write the information on an index card or create a profile of them in your database, so you have the information readily available when you need it. Take a look at this list of other important tidbits you should know about your customers to help you grow your business. As trivial as this might sound, it is important to find out your customers’ gender, age and occupation. This will help you relate and communicate with them. Many names are used for both genders, and you should know if Casey, Stacey, Lee or Britt is a man or woman before you make a cold call and ask for the wrong person. Knowing their age and even their birthdate can be important. It is important to know their occupation if they work off the farm or ranch, to understand their perspective. It is also important to know their livestock operation goals. Do they have a 9 to 5 job that might require you to stay open a little later, so they can pick up product? Or is their operation large enough that it merits you delivering product on a regular basis? Knowing what they do and what their operational goals are will help you better customize your services to your customers. When and why do they buy from you? Does a particular customer only buy product from you during the breeding season or for show livestock? Or do you have a customer who buys multiple products from you year-round? Knowing their habits and when they buy will help you know when to contact them. Contacting them at the time they want to buy a product or service you offer will greatly increase the likelihood of a sale. And matching a product to something that will directly benefit them will help your sales increase as well. How does your customer like to buy? 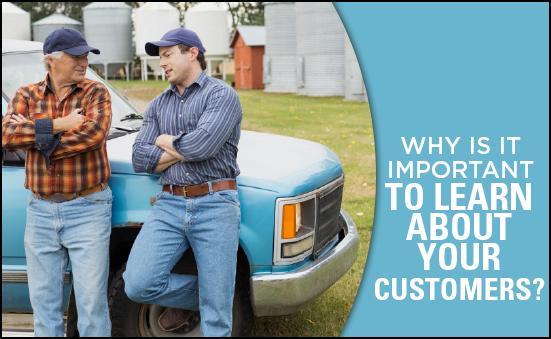 Is your customer someone who appreciates face-to-face interaction and would enjoy a ranch visit from you when you know they are likely low on product? Or is the customer a millennial who would prefer to hear from you via text or email? Know what kind of communication and sales tactic the customer likes to use best and use it. If it is a text or call, post in your calendar when you need to make that call or send that text to remind them about their next order. If they use a particular product and you are getting ready to run a Facebook promotion on it, but you know they don’t have internet, call them and let them know. You’ll probably make a sale. If your customer expects timely delivery, don’t disappoint them. One mishap can lose a loyal customer. If your customer expects you to keep track of their rations for them, comply. Your customers’ expectations of you will range from minimal to over-the-top. But remember, service is what makes the sales and the repeat customers come back because of great service. What does your customer think of you? If your customer likes you, your product and your services, they are likely to be repeat customers that continue to buy more from you over time. But, if they become disgruntled, they can turn away and tell all their neighbors to stop their business with you too. Ask your customers for input. This can be a confidential survey or a basic conversation. You can’t make enhancements if you don’t know what to improve. What does your customer think of your competitors? The best way to stay ahead of your competition is to not follow in their footsteps. Once you have a good rapport with your customers, ask what they prefer about you to another company who offers the same goods and services. It is always better to learn from others’ mistakes than our own. Now that you have gotten to know your customer, the sales should become more like a conversation and less of a pitch. Building relationships and knowing your customer is key to your business’ growth and success. Posted on August 20, 2018 August 20, 2018 Categories 3 Keys to Better Business, Business Resources, Business Topics, Continuing Education, Know Your CustomerLeave a comment on Why is it Important to Learn About your Customers? If you’ve ever had a young child, think back to his or her first days of school. The word that might come to mind is chaos. Learning a new bus or drop-off routine. Do you pack a lunch or eat the school’s hot lunch? Does your sweetie have a book bag? Item for show-and-tell? The required school supplies? It might sound a little chaotic, and for a cattle producer, that chaos might resemble weaning time. Yes, it is the most stressful time in your calf’s life. Until now, your calves have had it pretty good. Though the young calves were hopefully exposed to some type of mineral tub or loose supplement, mama cow was always right there with the next meal. And she has always been there to “wash” that tough-to-reach-spot behind the ears. Then one day, the producer gathers pairs and sorts the cows from the calves, and at just 6 or 7-months of age, the calves are weaned and have to learn survival on their own. At weaning calves are faced with several immediate changes: environment, herd groups, nutritional intake and all while be separated from their mother. And while weaning can be very stressful to the calves, the same period can also be stressful on the producer who strives to keep the calves healthy, eating and growing all during this time of transition. 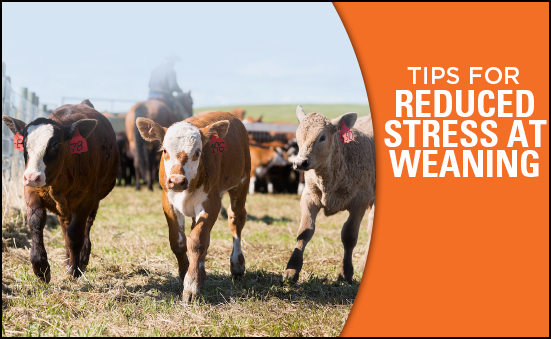 Kevin Evans, Thaler Land & Livestock at LaGrange, Wyo., offers some practical advice to reduce stress in calves at weaning time. “It’s critical to get these calves off to a good start. Keeping them healthy at weaning not only helps in increased rate of gain, it helps keep our expenses down in vet bills and cost of labor to treat sick calves,” Evans said. Provide necessary vaccinations. Thaler Land & Livestock takes a proactive approach to animal health and provides needed vaccinations to their calves at weaning time to keep them healthy. This also helps ensure that they don’t have to treat sick calves in just a few weeks. The Vita Charge Drench and Stress Tubs contain Amaferm® organic zinc and essential vitamins to stimulate the immune system and to ensure that feed intake stays consistent. Added enzymes and B-vitamins work with Amaferm to generate a more rapid digestive response. Amaferm is a precision prebiotic designed to enhance digestibility by amplifying the nutrient supply within for maximum performance. They both also contain MOS that traps bad bacteria limiting their ability to do harm. Just like young children heading back to school, weaning can be a stressful, even chaotic time in the young calves’ lives. Even recovered cattle performance and ultimately carcass value are impacted by sickness and morbidity early in life. But with proper planning, a good health and vaccination program, the chaos and stress on the calves can be reduced. Now, if only buying school supplies was as simple. Everyone deserves to be great at what they do. That sentence sums up the need for business owners to be continually seeking information around the keys to high-performance organizations and training/developing their staff needs to support these keys. 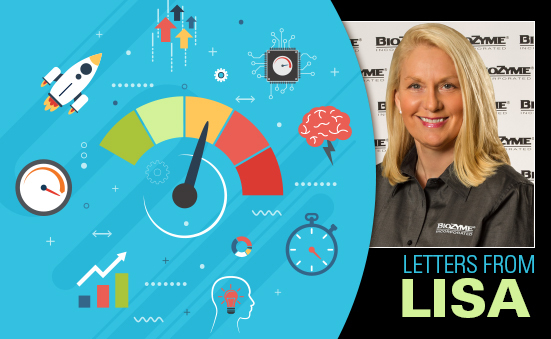 In my career, I have found that whenever there is a challenge in a business that seems to be keeping it from being high performing, normal human nature immediately goes to the people in the equation. At BioZyme® whenever we have a challenge (this of course does not happen often ), I like to remind our team of how we need to think differently than this to ensure everyone gets to be great at what they do. Systems first, processes next and then people. Not people first. Based on this approach we must first ask ourselves, do we have the systems in place to provide the information we need to support the processes that people can use to be great? If not, we need to take the time and make the investment in getting them before moving on. Amazing processes and amazing people without systems will not allow people to be great at what we do. Once we have the systems in place, we need to ensure the processes that utilize these systems exist, have been taught and are being followed. By providing process training, you will enable one employee to pick up where another left off, keeping them all on the same page without having to provide constant help and supervision. Now that the systems are in place and the processes exist, we can look to people. Remember that people are at fault last, not first. Don’t ever forget this if you believe that all people deserve to be great at what they do. The importance of employee training to these systems and processes must not be underestimated. Ongoing training can be thought of as the best insurance policy against all sorts of the inevitable changes and the unforeseeable needs that will arise in these systems and processes. Keeping focused on systems first, processes next and then people is a simple way to grow your company. People who are great at what they do will rocket you to where you want to go! 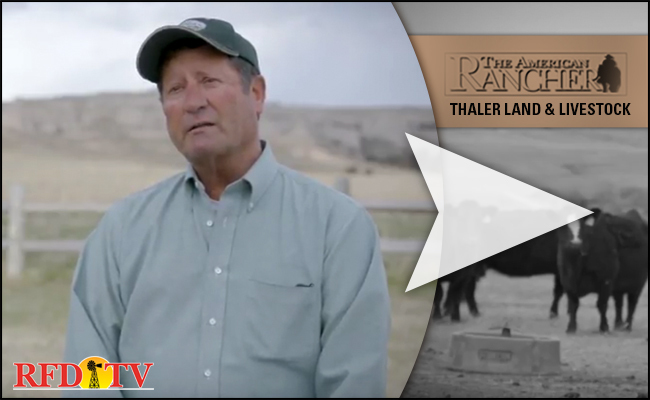 A huge thank you to Thaler Land and Livestock, who were featured in one of our latest episodes of RFD-TVs The American Rancher. The Thaler Family believes in the benefits of Vita Charge Drench and Stress Tubs at weaning and have experienced healthier calves all while reducing both labor costs and medicine costs. Albert Einstein once said, “The only source of knowledge is experience.” While experience is usually a good teacher, BioZyme® Inc., wants its dealer network to have resources readily available to them to help them learn along the way. The staff at BioZyme works to offer educational tools that will fit the needs and learning styles of its diverse group of dealers. We know that everyone is busy, and everyone absorbs information differently. That is why we offer resources like printed materials, the Online Dealer Center, webinars, the Facebook group, Area Sales Managers and office staff to assist you when it comes time to learn about products. During the recent Dealer Retreat, dealers had the opportunity to share with each other and some of the BioZyme staff what educational tools they found most helpful and how they would like to be further assisted during a “Dealers to Dealers” session led by National Sales Director Alan Lee and Outreach Support Center Director Jennifer Miller. Survey questions were answered anonymously through a texting app that let dealers respond from their own phones and led to open discussion. 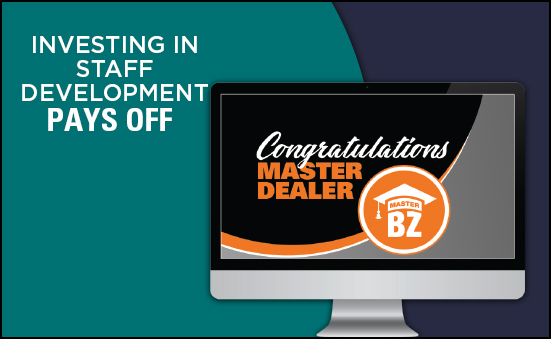 A majority of dealers did indicate that they use at least one or more of the primary forms of education available to them: their ASM, printed literature, the Online Dealer Center and BioZyme Office Support. Most ASMs do cover a large geographic area or represent a great number of dealers. In an effort to provide even more support, a dedicated call center is being rolled out this month, to help the company stay in contact with its dealers and sub dealers. Regular calls and emails will be going out to the network to ensure that the dealers have all the resources they need. Miller is heading up these efforts. One of the best ways dealers can learn from one another is through exchange on the Message Board in the Online Dealer Center. The Message Board is an outlet to post your questions, share what has worked for you, and receive input from others in the same business. It was agreed upon that customer testimonials and results from research trials were both useful information when sharing products with potential customers. Dealers in the sessions would like to see more region-specific testimonials. If you have a customer success stories that you would like to share with the marketing department, please contact your ASM with those success stories so they can relay information to the Marketing Team. Also, if you need specific research on a topic, check with your ASM, as he or she is a great resource. Finally, don’t be afraid to share what has worked for you as a dealer. 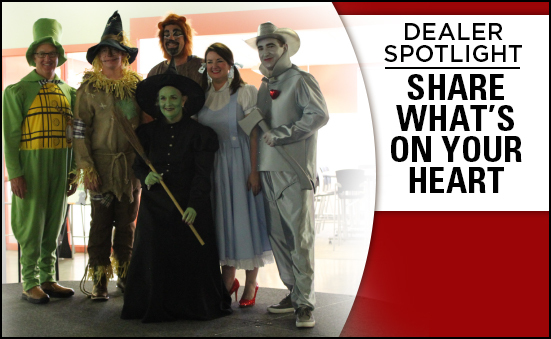 Share your thoughts on the BioZyme Dealer Facebook page or let us feature you in the Dealer Spotlight in VISION. Share what’s on your heart. Chances are, there is another dealer in this big network looking for a solution that you’ve already discovered. Or, if you are one of those dealers facing a challenge, reach out to another dealer. We’re in this together.